Each member of the Orpheus Supertones is a spectacular musician and tradition-bearer. Together, they are even greater than the parts: twin fiddles, banjo, guitar and bass plus great vocal harmonies to rock your world. They are loved by audiences and dancers for their entertaining stage show, foot-stomping music, and ability to have a contagious good time. The Eureka Times Standard said: "The band displays a familiarity that draws the audience in right off the bat. 'Just pretend we're in the living room', Koken says, 'having a few drinks and playing a few tunes.' Oh, but don't be fooled by the just-folks, easy demeanor. These people are take-no-prisoner, downright hot musicians." Bluegrass Unlimited said: "Orpheus Supertones have captured the essence of early country music." The Orpheus Supertones have produced three critically-acclaimed CDs, all on the Mudthumper label. They are six-time prize winners in the prestigious traditional string band competition at the Appalachian String Band Festival, Clifftop, WV and have won numerous prizes at many other old-time music contests. Individual members have won ribbons in fiddle, banjo, bass playing, and vocals. Both Walt and Pete are past recipients of the Grand Prize at the Charlie Poole Banjo Contest in Eden, NC. Hilary is a founder, Clare and Walt are Contributing Editors, and Kellie and Pete write articles, CD and book reviews for the Old Time Herald. 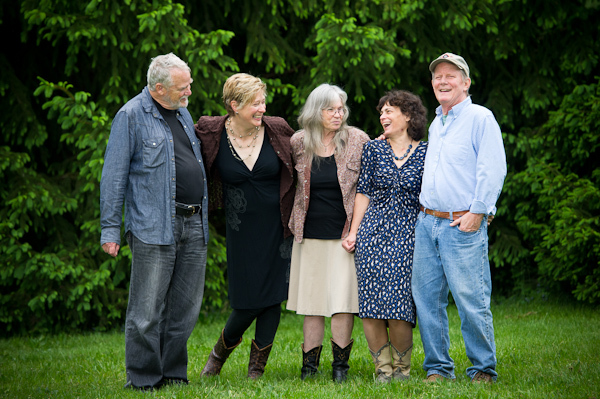 Each band member is a seasoned teacher, offering workshops in old-time fiddle, banjo, guitar, upright bass, singing, vocal harmony styles, fiddle/banjo duets, band arrangements and the work of particular old-time sources (e.g., Carter Family, Charlie Poole, Ed Haley, Skillet Lickers). 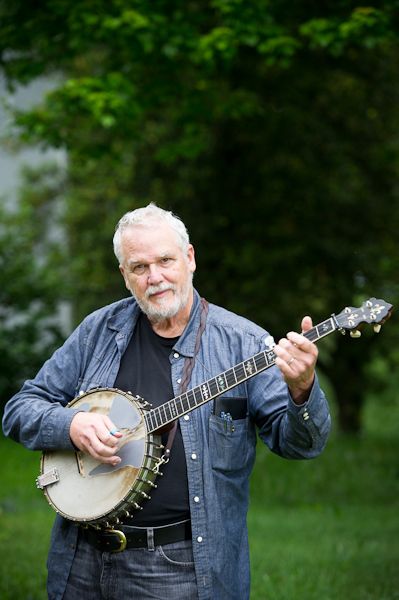 Pete Peterson is a legendary (and prize winning) three finger banjo player, guitarist and traditional singer. His extensive knowledge, skill and experience playing traditional old time music is unrivaled, making him in high demand as a teacher and contest judge as well! Pete has taught at Mars Hill Blue Ridge Old Time Week, Augusta Heritage Camps, and others including Gainsborough, England. He has been a judge at the Charlie Poole Festival, Fireback Fiddle Contest and other places. He got his first guitar and banjo over fifty years ago and now plays one of Charlie Poole's banjos. Pete's signature and distinctive sound on the banjo echoes Charlie Poole, who played three-finger banjo, backup style. Pete also plays guitar with a thumb pick, following in the style of old-time guitarists such as Roy Harvey, Maybelle Carter and Riley Puckett. His use of these banjo and guitar styles is uncommon and adds to the distinctive sound of the Orpheus Supertones. Hilary Dirlam has enjoyed a long career in music. 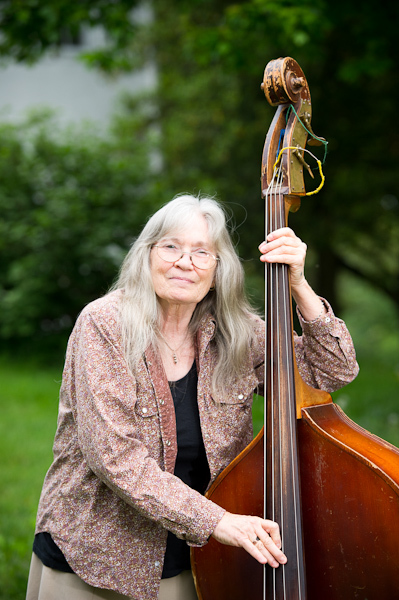 She studied guitar with Stefan Grossman in New York in the 1960's, then played bass, piano, and guitar in the Arm and Hammer old time string band in Vermont in the 1970's. During the 80's and 90's she played bass with North Carolina Heritage Award winners Caroll Best and Luke and Harold Smathers, and recorded two albums with noted fiddler and collector Bruce Greene. She has managed two U. S. tours for a Nepali band, and she recorded and produced seven albums at a Tibetan Monastery. 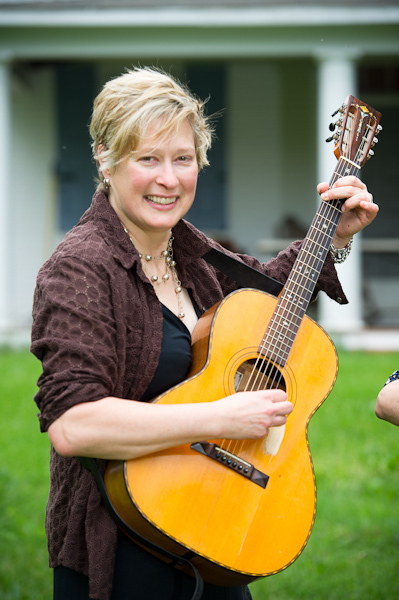 She is one of the founders of the Old Time Herald magazine, has written several books of banjo tablature, and has been director of the Mars Hill Blue Ridge Old Time Music Week for the past twenty years. She now plays wicked bass in the Orpheus Supertones. Clare Milliner's mom made sure all four of her kids played some instrument. Clare started playing piano at age four and violin at age eight. She started giving piano and violin lessons at age sixteen and went on to major in music in college. Despite all the musical training, she was able to learn how to play the fiddle sometime in the early '80s and has been doing so happily ever since. Turns out her dad's parents played fiddle, banjo and guitar and one of his cousins played in a five banjo orchestra in the '20s, although no recordings have ever surfaced. 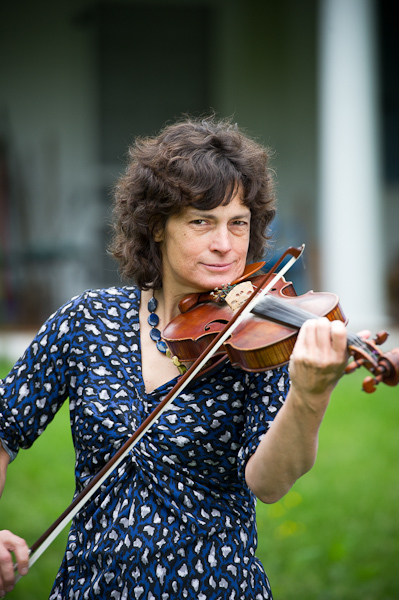 Clare has taught fiddle for a number of years at Mars Hill and other workshops around the country as well as in England. She has recorded a CD of fiddle/banjo duets with Walt Koken called "Just Tunes", and three other CD's with Orpheus Supertones old time stringband. With Walt she transcribed 1404 fiddle tunes from the original sources and compiled them in a ground-breaking (and back-breaking) book, The Milliner-Koken Collection of American Fiddle Tunes. Walt Koken started playing banjo in 1959. He joined the Busted Toe Mudthumpers in the late 1960's. In 1969, after losing his friend, fiddler, and band-mate in a car accident, he took up the fiddle in earnest, and as a fiddler in 1972 he formed the widely acclaimed Highwoods Stringband. They toured the U.S. as well as Latin America and Europe, and recorded three LP's on Rounder Records. In the 1990's he began producing CD's of his own banjo playing, both traditional and original tunes and songs, two on Rounder and one on his own Mudthumper label. In 2003 he produced a fiddle/banjo duet CD "Just Tunes" with his partner and fiddler Clare Milliner. The next year they teamed up with Pete Peterson and Kellie Allen to form Orpheus Supertones. He has produced two CD's of the band on Mudthumper, and recently released a third with new band member and bass player Hilary Dirlam. Walt has also released his latest banjo CD, "Sittin' in the Catbird's Seat". 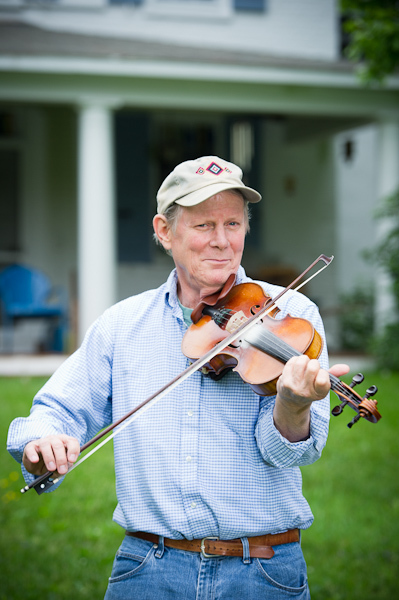 Over the past ten years, he and Clare have collaborated on producing a book called "The Milliner – Koken Collection of American Fiddle Tunes" which was published in 2011 and in which Clare's transcriptions of 1404 tunes are reproduced in a single volume.